INTERCONTINENTAL STADIUM. 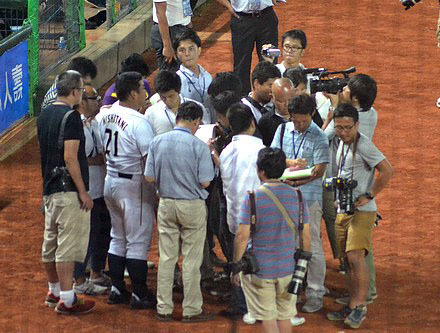 USA won 10-4 the last game of the semi-final round robin of the XXVI Baseball World Cup against Japan in Taichung. The Americans had 15 hits, with a home run by Reetz in the ninth, to win a game that was only a prologue to Sunday’s final, for which both teams had already qualified on Friday. Team USA gathered the minimum advantage from a 4-hit first inning offense, that was ended by a perfect loaded bases pitcher to catcher to first baseman double play, so Tomoya Mori could tie the game in the third with a single that Tucker could only stop with a diving catch and sent Takemura home from third, which he had reached after a single, a single by Yoshida and a grounder to second by Kumagai. The Americans hit safely consistently against both Iida and his reliever Takahashi, who was not supported by his teammates when he faced a troubled fifth and Cooper’s lineup took advantage of two hits, two walks, a wild pitch and two defensive errors to score four runs. USA went 6-1 in the sixth, out of an RBI double by Schwarz that bounced on the centerfield fence. Tomoya Mori scored in the bottom of the sixth, with a double, a wild pitch and a grounder by Uchida. In the eighth was the turn of Japan to take advantage of an error of their opponents, to make it a 2-run game, but Team USA reacted immediately, scoring 4 runs in the ninth. Singularly, USA presented on the mound two of their best hitters: Destino started the game, being also the clean-up, and was followed by Haseley, who is the leader of the tournament in batting average.